We are super excited to have guests Hotel Garuda, named as one of the top 10 artists to watch in 2014 by Ultra with their unique brand of house. On top of that we have Brooklyn’s bass sweetheart Jubilee hot off the heels of her “Magic City” compilation for Opening Ceremony. 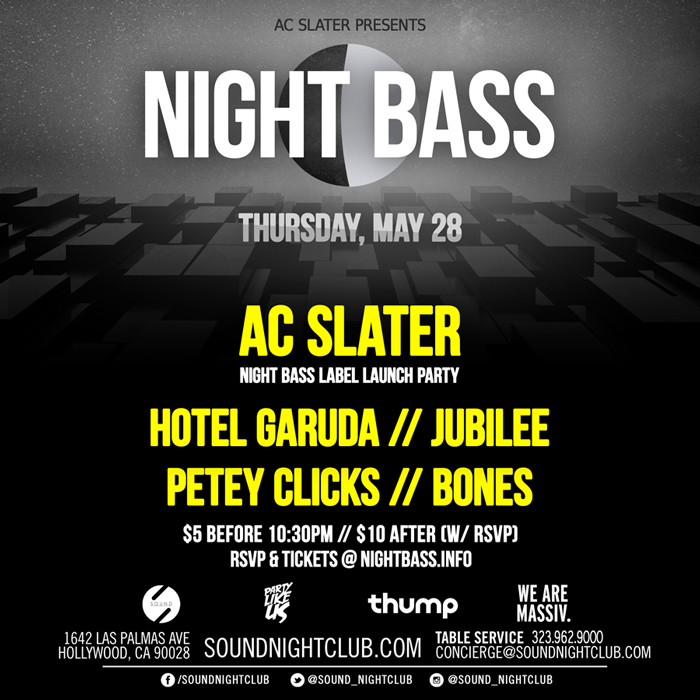 And of course our very own badman Night Bass residents Petey Clicks and Bones. RSVP & Buy Tickets here.